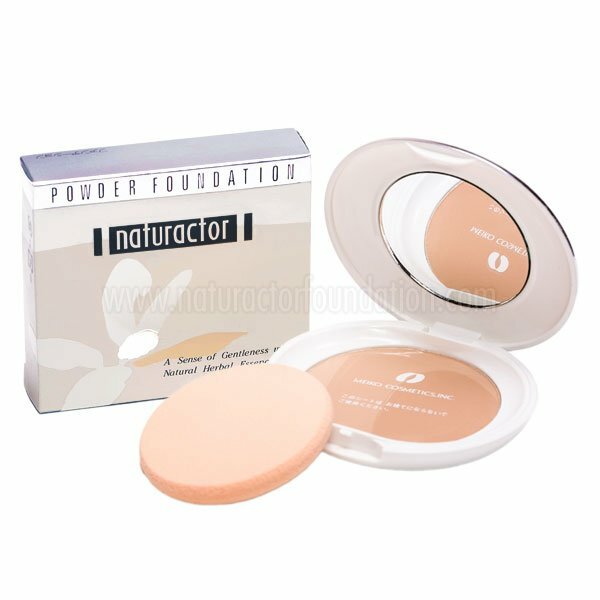 Naturactor Powder Foundation is a standalone powder foundation that you can use even without a primer and a finisher. It blends perfectly with your skin and a little of this product is more than enough to cover even the most stubborn skin imperfections. 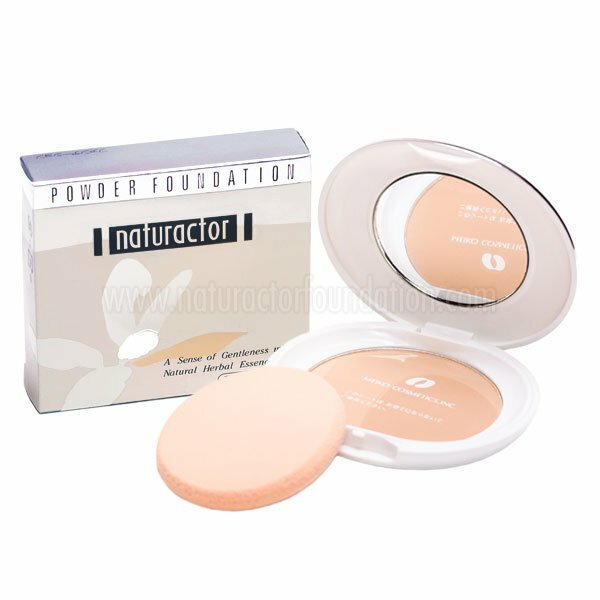 This powder foundation is perfect if you have an oily skin as it creates a porcelain-matte finish with a perfect coverage that is unique with Naturactor products. 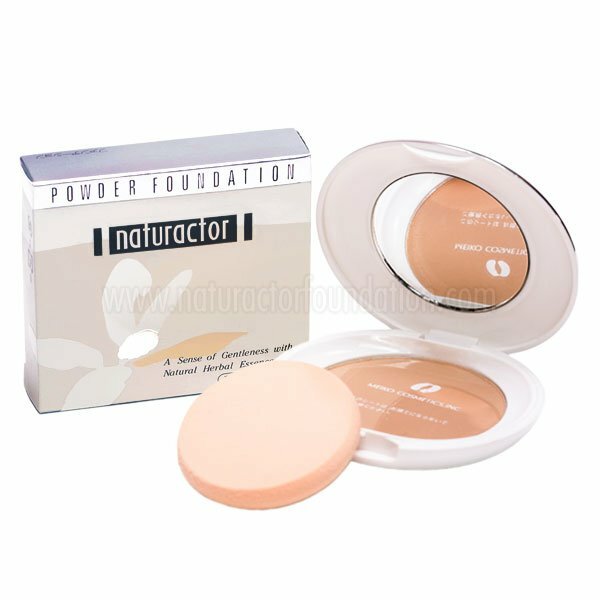 Naturactor Powder Foundation is hypoallergenic and is suitable for even the most sensitive skin. Pearl Powder from Japanese White Pearls is milled to microscopic size gives a divine effect on the skin. Jojoba Oil ensures that the product blends perfectly while priming the skin to make the foundation look even. 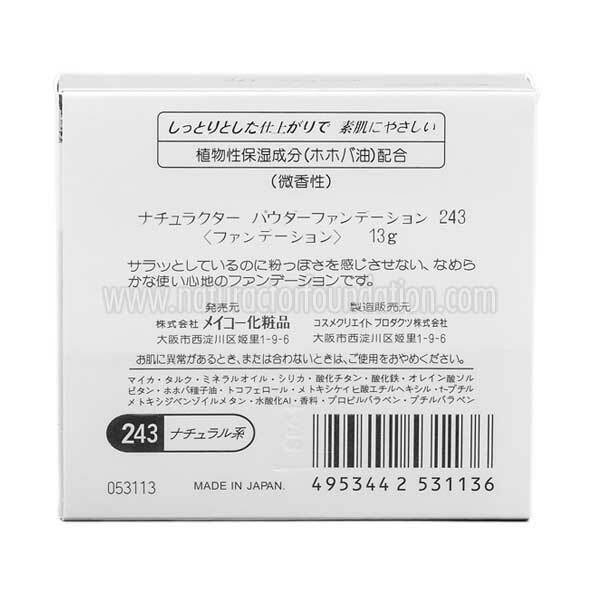 Vitamin E effectively hides fine lines and large pores. Squalene gives the skin surface a smooth, porcelain look while preventing shine while Amino Acid Lauroyl Lysine primes the skin and make it more receptive to the makeup as it prevents caking, patching, spotting and flaking other pressed powders usually do. 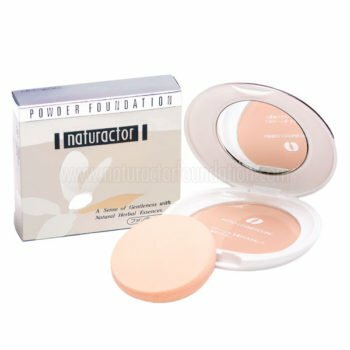 Naturactor Powder Foundation is the perfect makeup for those who want to look amazingly flawless without the hassle of putting an armor of makeup! 230 Very light shade. Gives vibrancy and glow to your skin. Perfect of very light skin. 240 Light shade. Slightly deeper in color than 230 suitable for fair skin tone. 243 Medium shade. Suitable for the typical Malay/Brown skin as it gives a very natural look. 250 Medium shade. 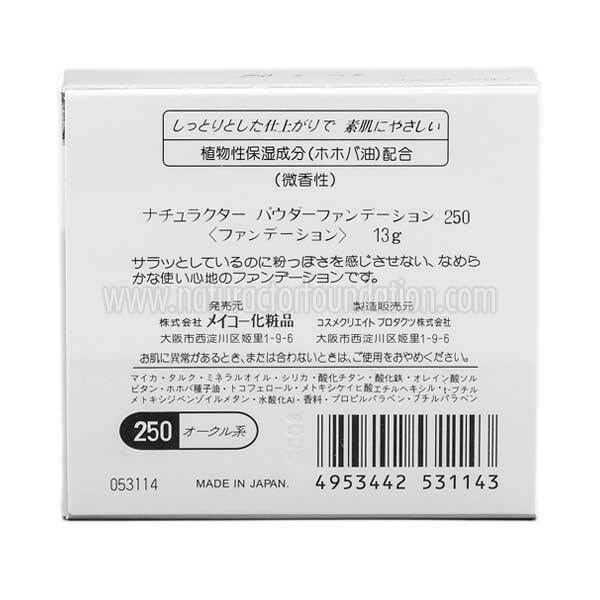 Perfect for fair to medium skin with pinkish or reddish undertone. 252 Dark Shade. Suitable for medium to darker skin tone. 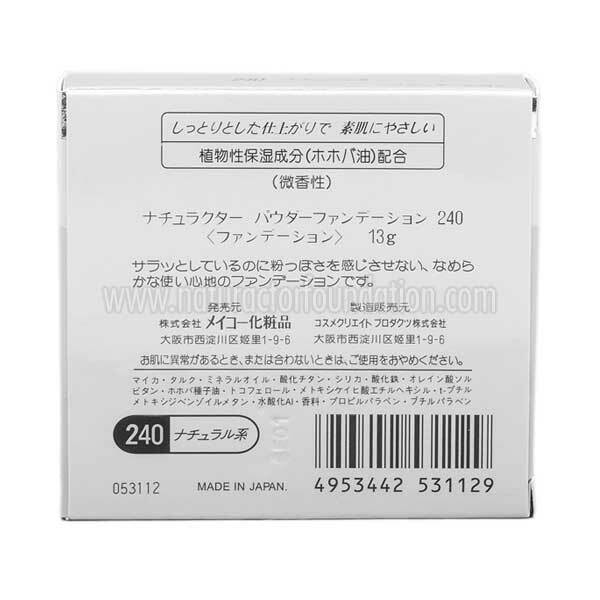 Using the Meiko sponge puff, gently wipe the pressed powder starting on the sides going to the center. Dab the powder on the face. Repeat if more coverage is necessary. 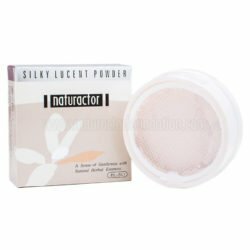 Use Alone or after applying Naturactor Cover Face and before using Naturactor Pressed Powder and/or Naturactor Silky Lucent Loose Powder. 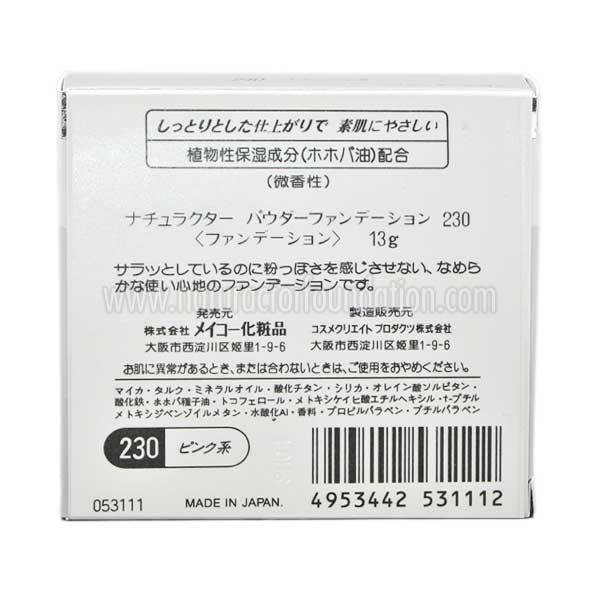 Jojoba Oil, Mica, Silica, Pearl Powder, Tocopherol, Euphorbia Antisyphilitica Extract, Squalene, Lauroyl Lysine. 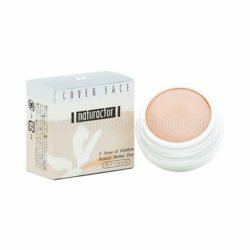 naturactor powder foundation creates my face awesome. 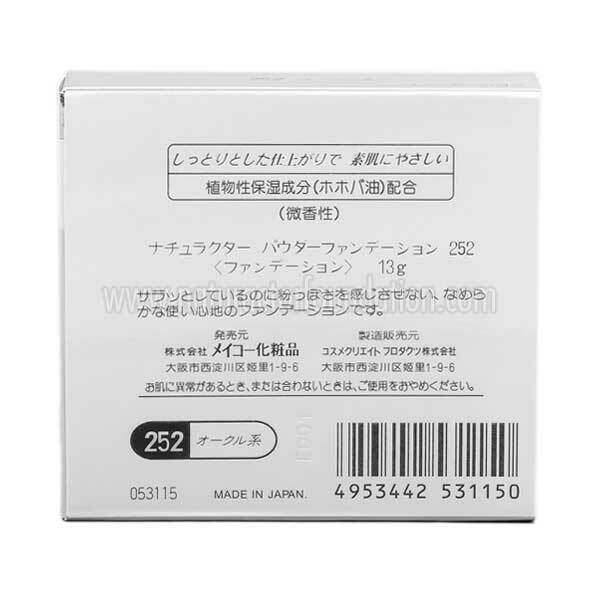 it really sticks on my skin when i apply it and make my skin brighten and smooth. it hides the dark spots on my face and even the tone of my facial skin. well, i can say to this product is awesome. 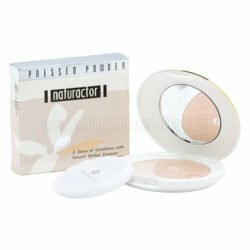 when i used it directly on my face it really give a nice make up effect. it covers the dark spots, scars and pimples on face and smoothen the surface. all i can say is, i love this product. because it makes my face skin smooth and looking wow. i bind myself already with the naturactor powder foundation and started to recommend it with my friends. Of all the set of naturactor. I particularly love this one the silky texture is very fitting for a light application! just the way i want it! When I think of perfect powder. Naturactor product is all i can say! 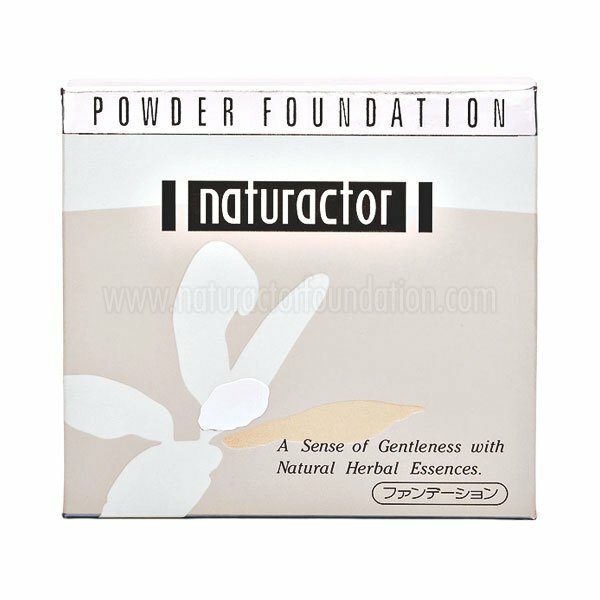 espcially the naturactor foundation it was the best foundation that i ever use. I’am completely a follower of this product, this has got to be my most loved when it comes to powders in the fact that it leaves my skin looking smooth and sparkle free! I truly appreciate what this product has done for me. i work as flight attendant and it is a need for me to always get my touch ups so with all my heart i really love this product it is a great foundation! Wow meiko really knows how to sell their product! Through the right quality and price! Really loving the whole thing!! Well it can only be bought and ordered through an online shop! They should really made it available in a brick and mortar environment like a retail store! It’ll sure be sold out in no time but anyhow i love the coverage of the foundation! Such A Nice Foundation It Gives You Just The Right Amount Of Volume With Just A Little Amount Applied. 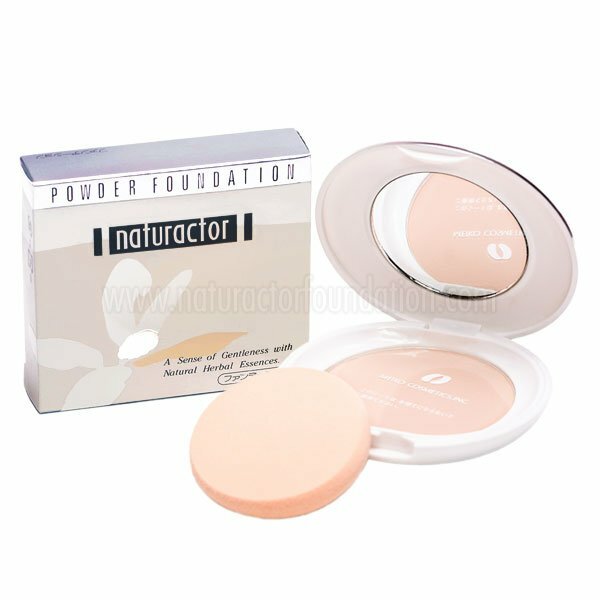 It Also Blends Naturally To My Skin Which I Really Come Into Mind When I Choose What Naturactor I Will Use For That Day! work as a part time make up artist and this is one of the product that i used to my customer they all love my service. i owe the quality of my service to this product. it gives the ceramic glow on my face that I’am always wanted In short Naturactor this is the perfect match for those who want to look flawless without the worry of hassle coz you only need to apply a little to get good results.